The Gould Library virtual library tour is here to help you explore the libe! 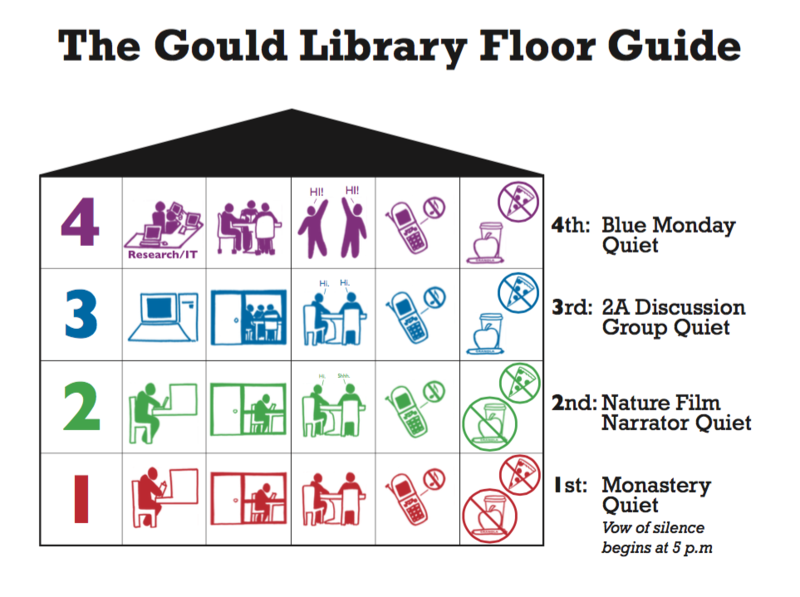 Click on the tabs above to read about different floors of the libe. You're always welcome to ask us in person at the Research/IT and Circulation Desks, to contact us on chat, call us, or contact a reference librarian, but if you want to explore more information online, here are more options. Lots of options for getting help using the Libe!